Christina was born in Glasgow and brought up in Cyprus and the Middle East. She trained at the Mary Darke School of Dancing Glasgow , and was a Junior Associate of Scottish Ballet before joining The Royal Ballet School. She joined the Company in December 1994, was promoted to First Artist in September 1999 and to Soloist in September 2003. Leanne was born in Australia, where she trained with Valerie Hansen in Queensland until the age of sixteen when she was accepted by the Royal Ballet Upper School in London. She Joined the Sadler's Wells Royal Ballet in 1983, The London Festival Ballet in 1988, the Deutsche Oper ballet in 1990 before joined the Royal Ballet in 1992. Darcey was born in London and attended the Arts Educational School before moving to White Lodge aged 13, to concentrate on ballet. She graduated into the Upper School in 1985, staying for two years before joining Sadler's Wells Royal Ballet for the 1987/88 season. She joined the Royal Ballet in 1988 and was made a principal in 1989. She retired in 2007. Mara was born in Brescia and studied at La Scala, Milan. She joined The Royal Ballet in 1992 and was promoted to First Artist in 1995, Soloist at the end of the 1997/98 Season and Principal in September 2003. On the 7th March 2009 she received Italy's equivalent of a knighthood, the medal Cavaliere del Lavoro, from the President of Italy, Giorgio Napolitano. Was born in Belfast and trained locally until the age of 16 when she joined Elmhurst School for Dance in Birmingham. She then trained with Masha Mukhamedov in Greece and after winning the Youth American Grand Prix she joined the Royal Ballet in 2007. She was promoted to Soloist in 2010. First Artist Nathalie was born in London and began her training at the age of eight with the Royal Ballet School. She graduated from Upper School and joined the company in 2003. Her debut principal performance was with Gary in DGV and she created a role in Alastair Marriot's Sensorium. As a member of the corps de ballet she has performed in all the major ballets. Cindy was born in Bayeux in France. 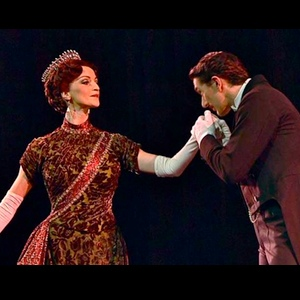 She was accepted for The Paris Opera School in 1992 and after 5 years there she then joined The Royal Ballet School. After leaving the school she joined English National Ballet performing in all the major classics. She joined the Royal Ballet in 2004 and left in January 2010. Sarah Lamb is a native of Boston and trained at the Boston Ballet School with Tatiana Nicolaevna Legat from 1994-1998. She joined the Boston Ballet Company in 1998, was promoted to Soloist in 2001 and Principal in 2003. She joined The Royal Ballet as a First Soloist and was promoted to Principal in September 2006. Marianela was born in Buenos Aires, Argentina. She started dance lessons at the age of three and at eight was admitted to the Instituto Superior de Arte of the Teatro Colón in Buenos Aires where she joined the corps de ballet aged 14. In September 1997 she joined The Royal Ballet School and then The Royal Ballet in 1998. She was promoted to First Soloist in 2001 and made a Principal in September 2002. Samantha was brought up in Malton, north Yorkshire and trained at Kirkham Henry Performing Arts (her mother’s school) before joining The Royal Ballet School. Awards include the Kenneth MacMillan Choreographic Award in 1995 and the first Dame Ninette de Valois Award in 1998. She joined The Royal Ballet in 1997 and was promoted to Soloist in September 2006. Samantha was appointed Ballet Mistress for the start of the 2012 season. Zenaida was born in Lyon, France and grew up in Madrid and Las Palmas training with her parents at the Yanowsky School. She joined The Paris Opera Ballet in 1993, moving to Royal Ballet as Artist in October 1994 and was promoted through the ranks and became a Principal in September 2001. Miyako Yoshida was born in Japan and began her training in Tokyo. In 1983 she won the coveted Prix de Lausanne competition which gave her a scholarship to The Royal Ballet School. She joined Sadler’s Wells Royal Ballet in July 1984 and was promoted to Soloist in 1987 and Principal in 1988. She moved to The Royal Ballet in September 1995.